Embroidery is an elaborate art that takes a lot of creativity and patience to make. Moreover, investment on good equipment and time are important in this craft too. Janome, Singer, and Brother are one of the biggest names in the sewing machine market, both in commercial and home sewing. Brother and Singer are more specialized in home use, while Janome is more known for its heavy-duty and commercial-ready capacity. Janome sewing machines are known for their sturdy built that may be quite heavier than others, but are made to withstand a wide range of fabrics, including thick denim and leather. They are mostly used for commercial purposes though. Brother on the other hand, is known for its innovations and software in home sewing. Its sewing machines are widely recognized globally, especially the computerized types. The computerized types are equipped with tens to hundreds of stitches, and has the capacity to connect to the internet or USB devices and download some needed data. It could also save projects and keep the last stitch used in memory. Singer on the other hand has been in the business for a very long time, and is known for their embroidery devices. It is also known for creating models that are easy-to-use, with features that support this, alongside a community of Singer users that provide support and help for each other. It is important to know one’s future projects, budget, and skill level before purchasing in order to get the best embroidery machine. Some projects might require more thread changes than others, and other embroidery machines, although good, may be way above your budget. How much are you willing to spend and what do you exactly need to get the best embroidery machine that will allow you to add style, definition, and creativity to your projects? 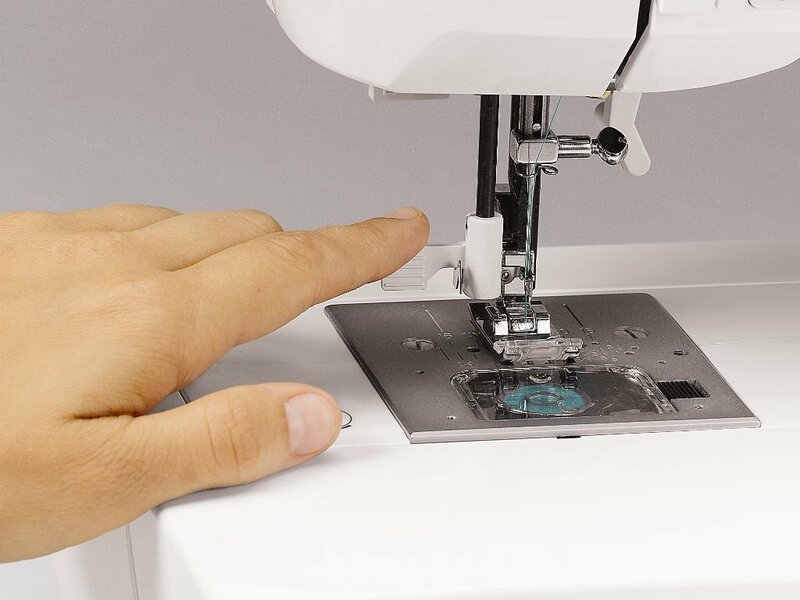 Some sewing machines are computerized and could use downloaded patterns, these are best for beginners. Could you imagine that? Computerized embroidery machines now could connect to the internet through a USB port and download patterns online! Floral prints, fonts, and other fantastic prints, are not a problem anymore. Some embroidery machines are capable of reading a USB device to allow you to transfer compatible files for patterns. You may download the patterns to your computer, convert it to a compatible file for the sewing machine, save it on an external drive, plug it on the embroidery machine, and voila! You have the pattern that you need. If you are prioritizing cost, machines with only built-in patterns and cannot read or download new ones are the best option. If you can spend more, you can look for machines that even allow modifying the downloaded patterns and not just simply downloading them. Talk about boosting your creativity, right? When you are skilled enough, or if you are already skilled in embroidery, you are free to create your own designs too. Put it in photo frames or in clothes. Personalize items at home! All these could be done with the best embroidery machine in hand. Doing embroidery takes a lot of skill and patience though. It will be worth it once you see your first projects! Now putting brand, function, and features aside, the best embroidery machine should offer autopilot and automatic thread tension. It takes a lot of skill and experience to manually control all these, and even the most experienced ones need a break from time to time. Having this function may be more expensive than ones that don’t, but if you don’t want to be on the road to disappointment, and if you’re only starting in embroidery, it’s better to invest on it. Finding an embroidery machine that has a top loading bobbin and color-coded threading could also come in handy for the model to make use of different thread colors easily. Embroidery takes a lot more thread compared to regular sewing, and that would require multi-tasking. Lastly, the best embroidery machine provides a large frame to work on. Consider this and your future projects in selecting the size that you need. In a nutshell, diving into the world of embroidery might be painstakingly complicated or amazingly much simpler, depending on the device you buy. If you really want to pursue this, it could be a skill that could not only add life to your home, but potentially be a source of income in the future! Choose well! I’ve tried various sewing machines before. I started out with simple ones to alter some clothes for my kids. Now, sewing has become a hobby, and I even make some money from doing some alterations just for a small group of neighbors and friends. Altering could be fun at first, but just like any repetitive task, it could be painstaking if done repeatedly. Since I got tired of too much alterations, I started seeing some DIY projects online through youtube and some from the Singer online community, and was inspired by the home projects that were creatively done with stitches from Singer 7258. I decided that it’s time for an upgrade, and I’ve been with this sewing machine for over 8 months now. So far I haven’t grown tired or born with this one yet. Maybe because each day is an opportunity to discover and think of a good combination of the stitches for an awesome DIY project at home. Here’s a review on the project and I hope you’d be enlightened if this is the right fit for what you are looking for. The main highlight for this sewing model is its 100 pre-installed stitches. It also comes with a portable handle, and the body is enclosed in a sturdy metal frame. 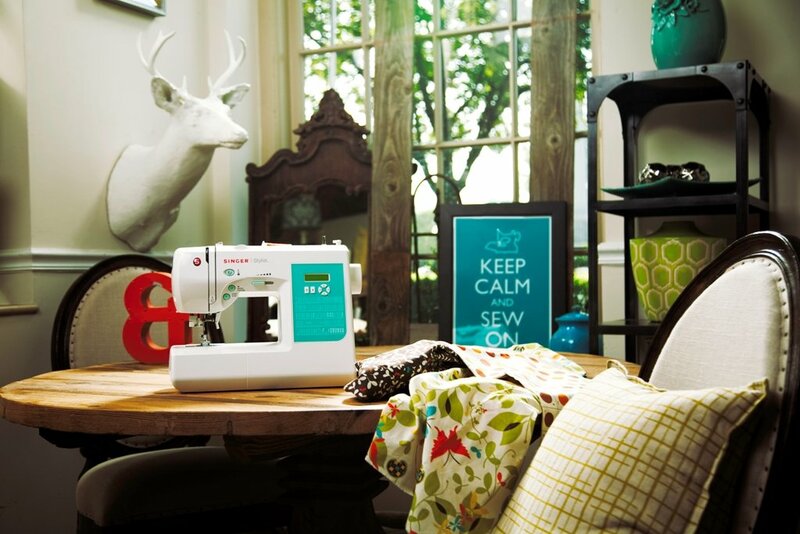 Like most Singer sewing machine models, it’s a mix of strength, functionality, and a whole lot of creativity. The singer 7258 poses no limit to its owner with a selection of 100 stitches, each of which have an adjustable with size. All of this is enclosed in the sturdy metal but lightweight body of this sewing machine. The Singer 7258 comes with a lot of features. It is equipped with 10 snap-on presser feet, namely: satin stitch foot, zipper foot, buttonhole foot, blind stitch foot, overcasting foot, darning and embroidery foot, gathering foot, rolled hem foot, all-purpose foot, and quarter inch foot. The package also comes with the following: a seam ripper, bobbins, auxiliary spool pin, needles, 3 spool caps, sppon pin felt discs, darning plate, foot pedal, soft dust cover and carrying handle, screwdriver, owner’s manual, quick start guide, and an instructional DVD. This machine is perfect for the user that seeks for no limits. A seamstress that likes to experiment with various stitching patterns and has a creative passion for design. 100 stitching pattern options allows the seamstress to choose and mix designs for various projects, may it be making new clothes, alterations and upgrades, and even home decorating projects. This machine is convenient and computerized, with a start and stop button that eliminates the need for a foot pedal. 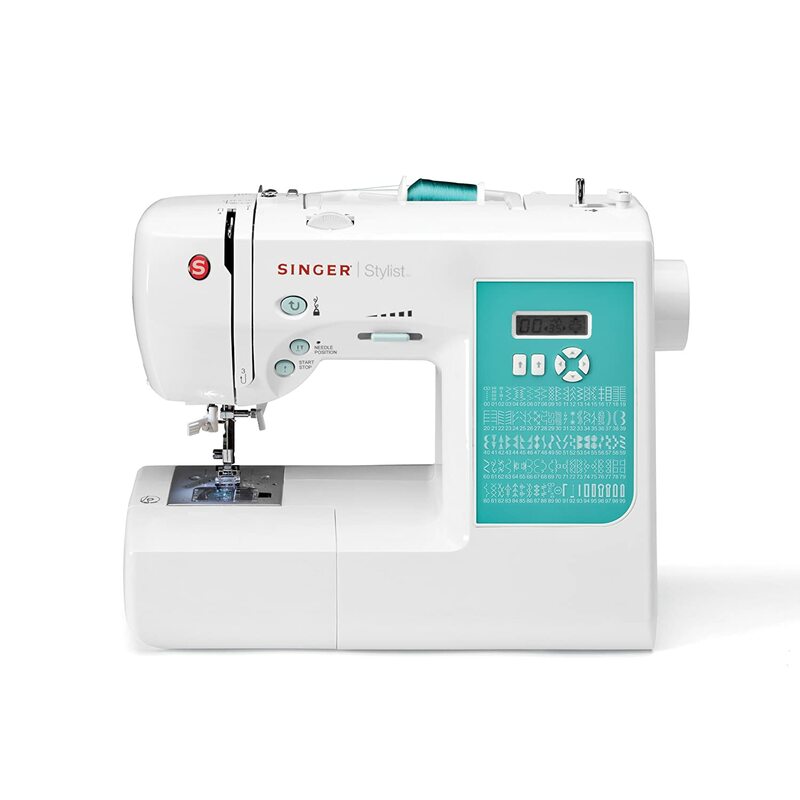 If you’ve never tried sewing before then this is a good machine to start with, but even if you did try sewing before but seems to feel constrained with the number of stitches that your machine offers, you’re free to take the leap! The pre-installed stitches have an adjustable width size to fit your taste. I think this is heaven-sent for experimental people. With this, you can practically add personality or give new life to old and plain bed covers and pillow cases, or even skirts and simple blouses. This sewing machine surely works hard especially for more elaborate stitches, but I am pleased to how quiet it is. It also goes smoothly for light – medium fabric, and has an adjustable speed that could be adjusted depending on the user’s level. Lastly, what I love about this is its metal frame. I love the fact that singer goes the extra mile and uses quality materials for the body of their sewing machines. Although it has a metal frame and is meant to withstand light-heavy fabric, I noticed that stitches would sometimes mess up and even skip when the fabric gets too thick. I stopped using this for thicker fabrics now, but I’m still pleased for its general functionality. I don’t have much projects that involve heavy fabric anyway. Also, although its 100 preinstalled stitches is its main selling point, I must say that it’s not easy to switch from one stitch to another, which is quite the hassle. I must say. Over all, I am pleased with this purchase. I use it mostly for my wardrobe upgrades, and for adding more color and life to simple clothes that I find around the house. I even started creating personalized items like small wallets made of cloth or embroidered shirts as gifts for my friends.